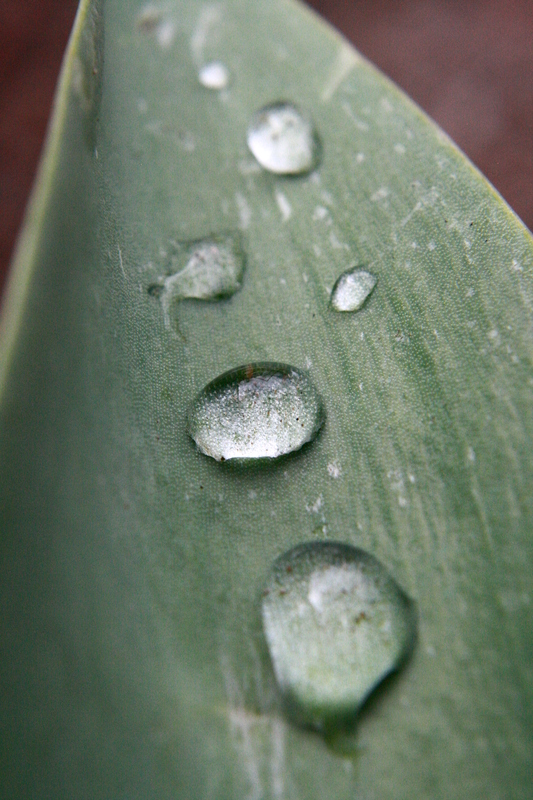 Free high resolution photo of drops of water on the leaf of a tulip plant. This macro or close up photograph shows several drops of water on a green leaf. You can see tiny specs of dirt under and inside the droplets. Free image for any use.